The combination of instruments here would lead you to expect the sort of bouncing Hammond-led jazz that graced the Blue Note label of the 1960s. You won’t be disappointed because that is just what the band deliver. 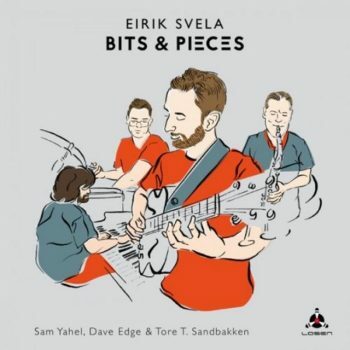 The quartet is gathered from the US (Yahel), the UK (Edge), and Norway (Svela and Sandbakken), but feel firmly rooted in New York where the album was recorded. Svela’s approach to composition often feels as he has recalled chord sequences from the tunes that he loves and reworked these into new combinations for his band to work from. So, there is a sense of the familiar in each of the pieces but also a feel of the new. While there is a key role of the Hammond in this set, it is the interplay between guitar and sax that really grabs the attention. Indeed, two of the tracks pay homage to saxophonists, Seamus Blake (through track 3, ‘Shame (on) us’) and Warne Marsh (through track 5, ‘New arm rash’…the title is an anagram), and the way that Svela works with Edge on this set shows how much he values the tonal palette of the tenor. In fact, when the group drops the sax (on ‘End of days’, track4, and ‘I’ll be seeing you’, the closing track), there is almost a sense of loss as if a limb has been removed – although Svela more than makes up for this with his deliciously rich guitar solo. Svela’s guitar work has a richness of tone that takes you right back to the playing of Wes Montgomery (who is cited as an inspiration in Rob Adams’ liner notes, “Svela knows the potency of Wes’ octave double stopping style and its potential for injecting urgency into guitar phrases…”).